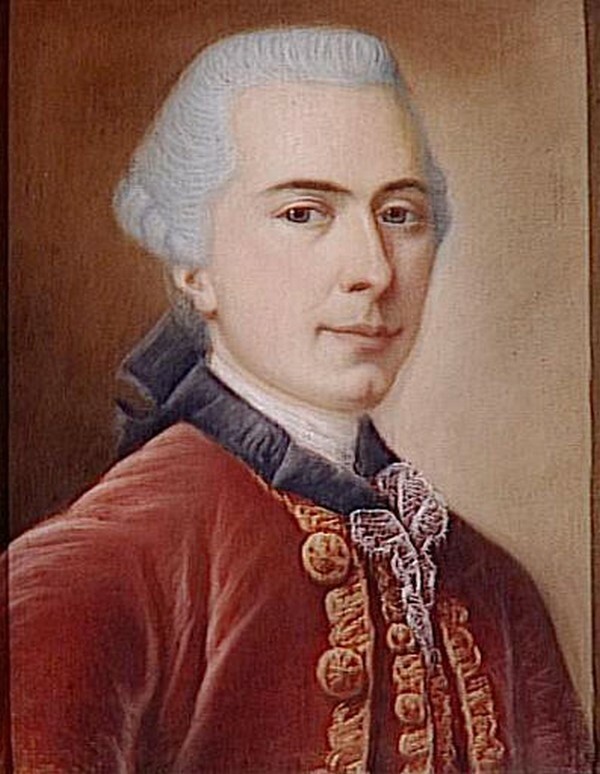 Jean-Pierre Claris de Florian was born on March 6, 1755 at the Château of Florian near Sauve, Gard in southern France. His mother was a Spanish lady named Gilette de Salgues and she died when Jean-Pierre was a child. He was brought up by his grandfather with his uncle, the Marquis de Florian acting as his guardian. The Marquis was married to the niece of Voltaire, the Enlightenment writer, historian and philosopher and introduced Jean-Pierre to Voltaire at his château of Ferney. In 1768, Jean-Pierre became a page at Anet in the household of the Duc de Penthièvre, who remained his friend for the rest of his life. Penthiève obtained a captain’s commission in the dragoon regiment for Jean-Pierre after he studied artillery. De Florian left the army shortly thereafter and began to write comedies. He wrote a verse epistle ‘Voltaire et le serf du Mont Jura’ and a pastoral poem ‘Ruth’, both of which received recognition from the Académie Français. In 1782 he produced a one-act prose comedy, ‘Le Bon Ménage’ and in the following year ‘Galatie’, a romantic tale based on the work of the Spanish writer Cervantes. De Florian was very fond of the literature of Spain, probably due to the inspiration of his Castilian mother. Other short tales and comedies followed his early success. In 1788 he became a member for the Académie Française and published another pastoral romance called ‘Estelle’. Upon the outbreak of the French Revolution de Florian retired to Sceaux but the revolutionaries tracked him down and imprisoned him. Although the death of Robespierre spared de Florian death, he ended up dying a few months later while still in prison on September 13, 1794. Many of his works were published after his death including his famous collection of Fables in 1802, as well as an abridgment of Cervantes ‘Don Quixote’ in 1809 which was very successful. To modern readers de Florian is primarily known for his lovely fables which are considered appealing reading for children. Florian wrote a poem in 1789 that honored the Princesse de Lamballe and was inserted it in front of his “six nouvelles.” She was a supporter of his poetry. She knew him because he served the Princesse’s father-in-law, the Duke of Penthièvre .